Janitorial Direct Ltd started originally as a carpet cleaning company. Carpets were cleaned for domestic customers, which later lead to more commercial spaces including offices; hotels; nursing homes; and banks to name but a few. The business developed from carpet cleaning to encompass other types of cleaning. Firstly, this was in domestic situations, with teams off staff cleaning properties on a regular basis. This continued and developed into more specialised cleaning. These services included high dusting; kitchen cleaning; stripping and sealing hard floors; degreasing factory floors; and more. These tasks were undertaken in offices and commercial settings. The business then further developed winning large commercial contracts with the likes of British Sugar PLC; the Halifax Building Society and Victoria Carpets. We also took on contracts for a range of law courts; car dealerships; furniture makers; solicitors; and more. Rapid expansion followed and a small cleaning supplies division was created to underpin and support the cleaning contracts. As more contracts were obtained, more products were needed. 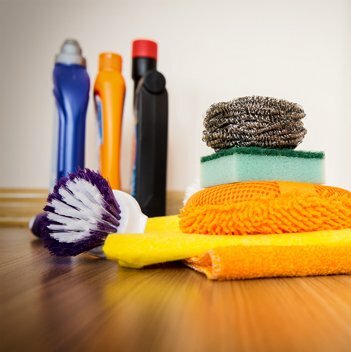 As such, Janitorial Direct started to supply other contract cleaners and companies who needed cleaning products; disposable goods; and related items. The contract cleaning division continued to grow as did the supplies division. Expertise gained from the cleaning business was utilised to support and move the supplies division forward. The cleaning business was eventually sold on to Bowdraper; a large Warwickshire based company. This allowed for the time and resource gained from the disposal of the cleaning division to promote, develop and drive the supplies side forward. Now Janitorial Direct Ltd turns over in excess of £2.2 Million per annum. We supply a range of customers from domestic users to local authorities. The customer type is very varied and continues to grow. Some examples of our typical customers include hospitals; pubs; hotels; nursing homes; schools; nurseries; factories; shops; councils; restaurants; universities; supermarkets; churches; village halls; conference centres; cinemas; and many more. The company promotes integrity and honesty in its dealings with its customers. This promotes a solid partnership between supplier and customer. “The Right Product at the Right Time at the Right Price” was, and still is, the company's philosophy. We do what we say we are going to do and if we can't do it, we say we can't. Janitorial Direct Ltd is ideally situated only 20 minutes from the M5 / M6 corridor. We are central to many large markets including Birmingham; Wolverhampton; Telford; Worcester; Redditch; Bromsgrove; and Coventry. Our large store offers car parking for customers who wish to collect. Our website provides a nationwide service. 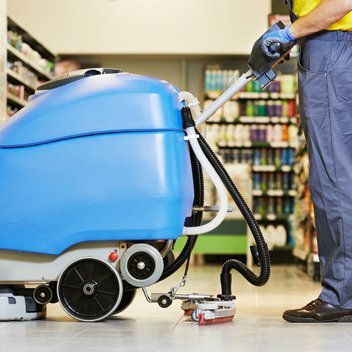 We boast availability of over 6,000 product lines from toilet rolls and centrefeed paper to industrial floor cleaners and carpet cleaning machines. The Janitorial Direct brand has further developed more recently with the addition of a Washroom Services division. Provision for “Duty of care” is provided with the rental and service of Feminine Hygiene bins; nappy bins; medical bins; sharps disposal bins; water saver systems; sanitising and deodorisers systems; vending machines; baby changing units; mats; and soap systems. Janitorial Direct Ltd continues to develop with its fresh, innovative outlook; professional and knowledgeable, friendly staff and its focus on customer service. from cleaning chemicals to mops and buckets; and ride on scrubber dryer machines; to industrial carpet cleaning machines.